You will need the latest pose player(updated 5-1-12) to use these poses! Without this version, these poses, or any other animal poses for that matter, WILL NOT WORK. 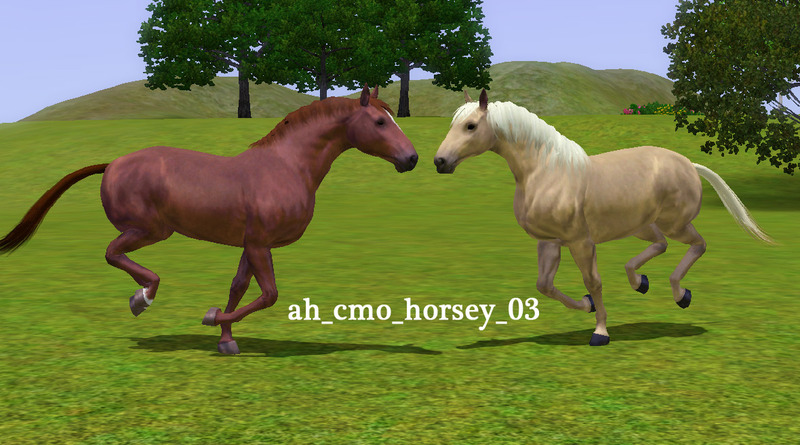 This pose pack contain 5 action poses for horses. 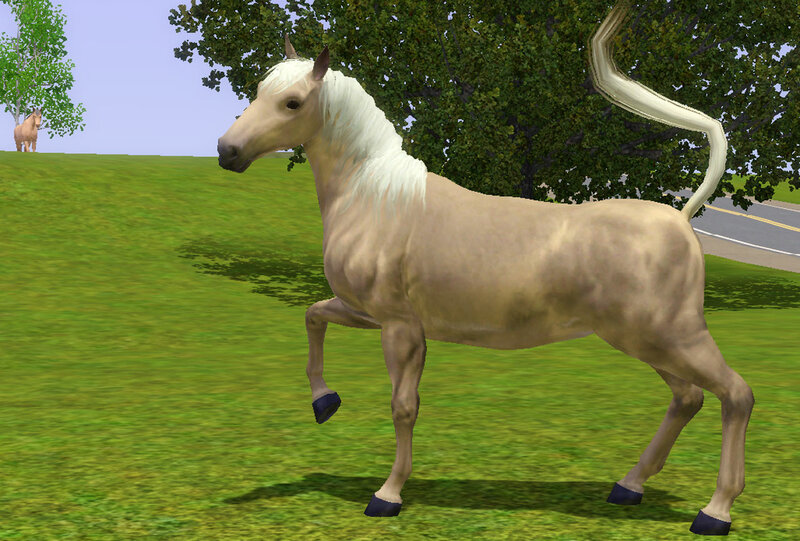 It is compatible with the Pose List feature in the Pose Player. 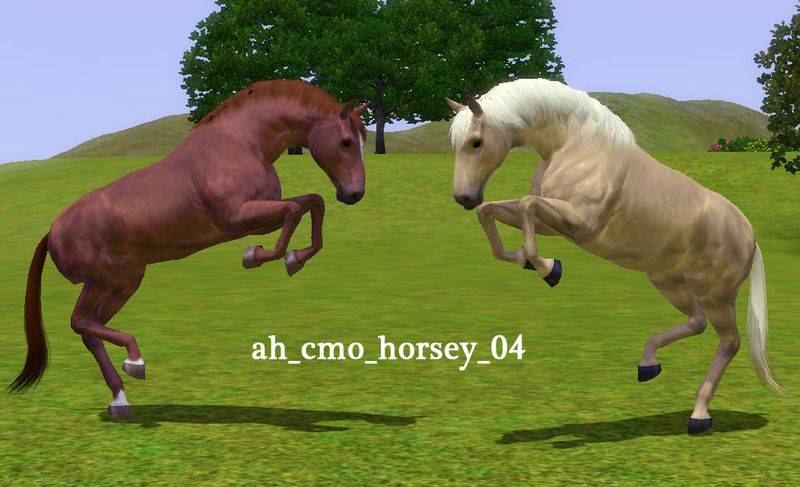 hint: With the hurdle jump pose(ah_cmo_horsey_05), you can use moveobjects cheat to position the horse over objects, and Nraas Debug Enabler to raise the horse to a specific height. 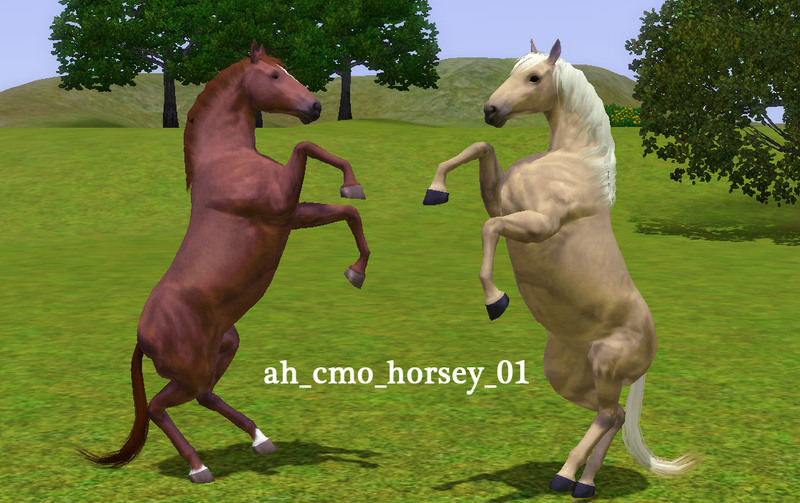 Thanks to orangemittens for helping me figure out how to make animal poses. Thanks to atevera for the Clip tool for Blender. Thanks to Inge and Peter Jones for S3PE and s3oc. 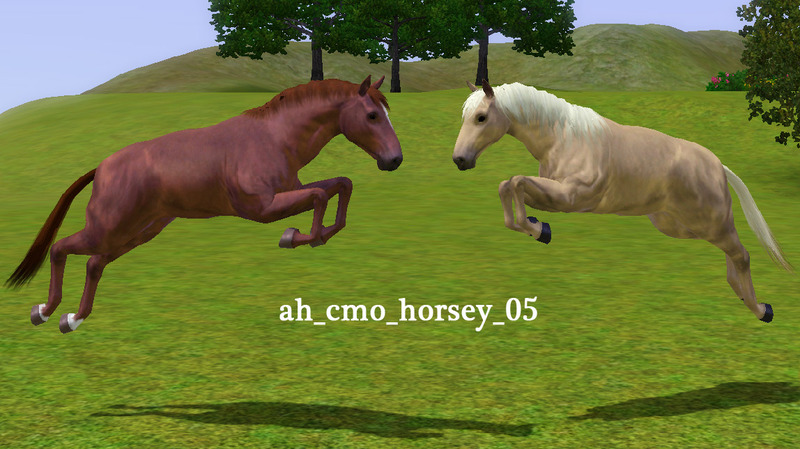 Thanks to PharaohHound for the horses and pics. 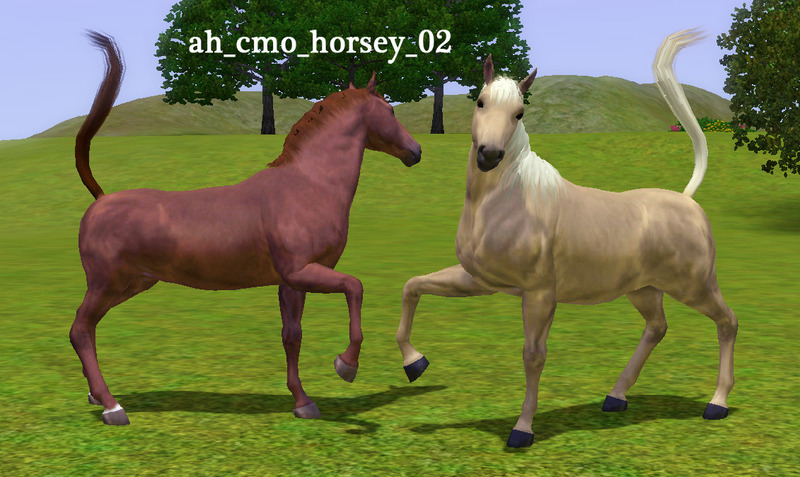 282 people have said thanks to cmomoney for this download.